SK Innovation, a battery cell maker part of the South Korea-based chemical and energy conglomerate SK, confirmed (via GreenCarCongress) that it has been selected as the supplier of battery cells for Mercedes’ upcoming line of electric vehicles. Last month, Daimler green-lighted 4 new long-range electric vehicles, which will reportedly be two sedans and two crossover SUVs. The automaker will need an important volume of battery cells if it plans to manufacture these upcoming vehicles in significant volume. Mercedes will build its own battery packs with the cells supplied by SK. For its only all-electric vehicle, the Mercedes B-Class EV, the automaker was outsourcing its battery pack manufacturing to Tesla, which itself was sourcing the cells from Panasonic. It’s understandable that the company would want to start making its own packs and develop its own expertise, but it’s surprising that Daimler didn’t go with a bigger battery cell supplier like LG, Samsung or Panasonic, or even A123 or BYD. Though it’s not SK’s first electric vehicle supply contract. The South Korea-based company is the supplier of battery cells for the Kia Soul EV (its battery pack is featured in the above image). 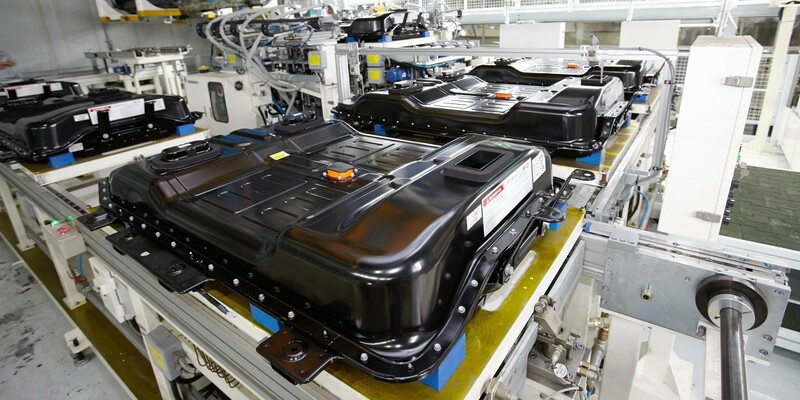 Last year, SK more than doubled its capacity at its Seosan battery plant in Korea, where production is now running 24 hours a day, 7 days a week. The company expects to have to expand its manufacturing volume due to future and current projects with customers including Daimler’s Mercedes. It sounds like SK hopes Daimler will drive its battery business like Tesla did with Panasonic’s.